The room is clean and basic. Staff and owner very nice and helpful. Just ask and they will do everything they can to make you feel more comfortable. The location was good. We liked the balcony overlooking the street. Great staff, super friendly. No frills just friendly and a decent clean place to put your head for the night. They offered to hold our luggage whilst we went to Halong Bay too. We were only there for a 5 hour kip but had all the facilities you could need. Affordable and good location. The staff seemed really helpful! Personal war schon hilfsbereit aber sehr unorganisiert. WiFi sehr gut. Merveilleuse terrasse dans la chambre du 4eme pour observer et s'impregner de l'ambiance dynamique de la belle ville de Hanoi. Personnel tres gentil et toujours present. Olive Hanoi Hotel This rating is a reflection of how the property compares to the industry standard when it comes to price, facilities and services available. It's based on a self-evaluation by the property. Use this rating to help choose your stay! One of our best sellers in Hanoi! Strategically located within Hoan Kiem District, Hanoi Especen Hotel offers comfortable accommodations with free WiFi access in the guestrooms. Operating a 24-hour front desk, it provides currency exchange and daily housekeeping service. Simply furnished, air-conditioned rooms come with tiled flooring, a wardrobe, a fan, cable/satellite TV and seating area. The attached bathroom includes shower facility, slippers and free toiletries. Guests staying at Hanoi Especen Hotel can easily rent a bicycle/car to explore the area. Luggage storage, laundry and fax/photocopying services are available, while ticketing and sightseeing arrangements can be made at the tour desk. 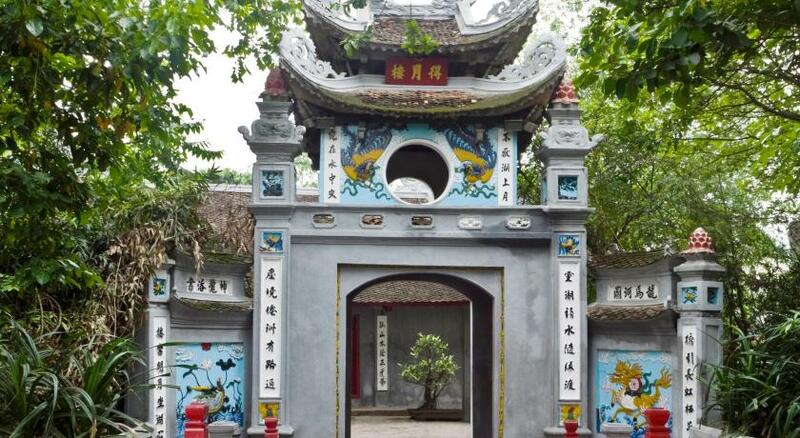 The property is just 1,000 feet from Ngoc Son Temple, while 1,650 feet from Old City Gate and the famous Hoan Kiem Lake. Noi Bai International Airport is approximately 13 mi away. When would you like to stay at Olive Hanoi Hotel? House Rules Olive Hanoi Hotel takes special requests – add in the next step! Olive Hanoi Hotel accepts these cards and reserves the right to temporarily hold an amount prior to arrival. No elevator. But for the price I didn't expect more. Some part of the hotel smells paint. Its under construction. It will be fixed soon Im sure. Location is great. Staff are very helpful. Where to begin...at checking we were asked to pay for the room. We had enough money, but the receptionist didn't have enough cashback. We could pay later, but had to leave a passport. I kindly and calmly explained to her that her not having any change wasn't my problem and that I'm not obligated (not even allowed) to leave my passport with anyone who isn't a government official. All of a sudden there was enough change. This gave me a bad feeling, why did she need a passport? After this we were brought to the room. At first glance it looked like the picture. At second glance it looked as if the room was set 5 years after the picture was taken and the room had been closed the entire time. It was incredibly humid and dusty. It didn't look clean. There was mold all over the wallpaper. There was something that looked like dust on the closets, but at closer inspection this was mold that had been there for a while, as the sphores were visible. The bathroom wasn't any better, there was mold over the entire ceiling and it hadn't been cleaned. The floor in the room was sticky and dirty. Than the bed. I don't mind a hard bed, but this bed was hard as a rock. This wasn't even the worst. The mattrass was made out of three pieces, which were placed in width. The middle part was lower that the other three parts, which made it all very uncomfortable. The covers and pillows felt moist, probably due to the humidity in the room. Personal wasn't rude, just uninterested. The hotel also had a travel agency, but these people didn't seem to want to be disturbed by any questions as they were to busy with their phones. I said hello every time we passed and never got a hello back. If you're having medical lung issues, if you're pregnant or have small children, please don't book you're stay here. It's a health hazard. I sometimes had to open the door to the stairway to let some air in. Room decoration is nice. Location is the best. They need an additional garbage can in the room. They should put a larger plastic bag in the garbage can. There should be another plug for the fridge inside the room. We didn't have a window, well we did but it opened to a wall however we only booked the cheapest room as a bed for the night in hanoi which this place was perfect for. The room is too old. The Facilities such as shower didn't work well and the bed is too harden. Street noise, booked breakfast did not bring me.